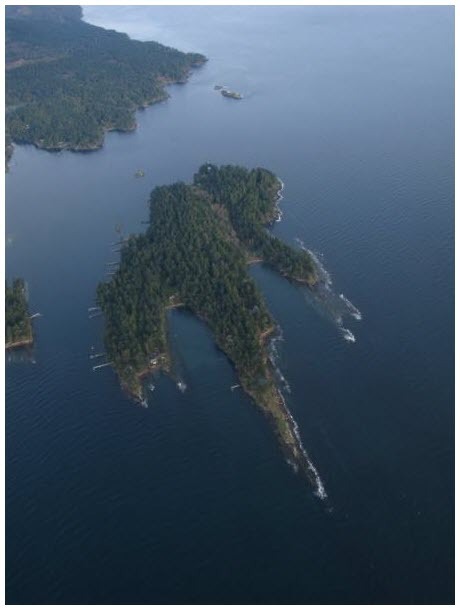 I'm writing this article today because I know of just such a place, a beautiful little island called Gossip Island, located in the Southern Gulf Islands. There is absolutely no way for a fire truck to "get there" in the event of a fire...and recently a fire broke out when a lawn mower went defective...Please read my son's story below and please consider donating (any amount, event if it's only a couple of dollars) so my son Brandon's favorite place on earth (and the recent location of his beautiful wedding) has a way to put out fires! 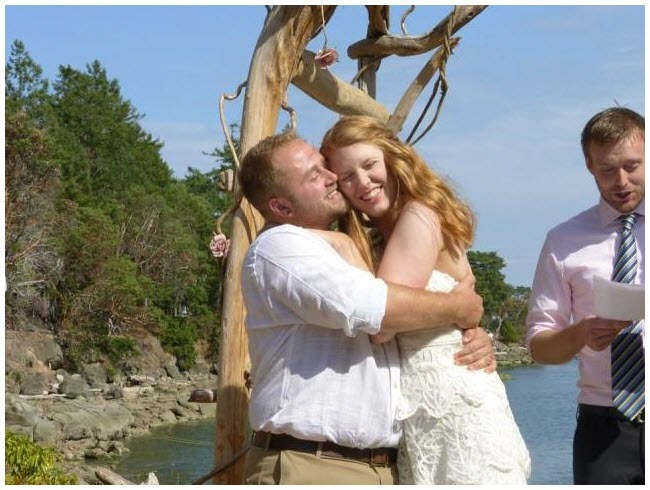 Gossip Island is a small island in the Southern Gulf Islands, located East of Galiano Island. There are currently about 70 homes on Gossip Island. Risk of fire is very high during dry seasons. Currently Gossip Island has no real protection from either a minor or major fire other than well water hoses and few fire extinguishers. Our goal is to raise enough money for the fire truck. The money raised would also be used to provide housing for the truck, delivery of the truck to the island, and for fire extinguishers and other fire safety items. There have been 2 major fires on the island to date, one occurring in the 1970's and one in the 1990's. A large barn and a residents home were lost. 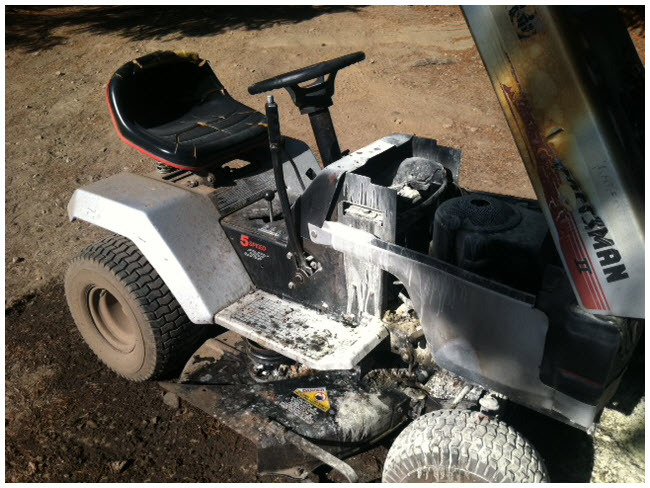 We recently had a scare in August 2015 when our lawnmower was running fine one moment and was in flames the next on the trail to the community dock. All we had to extinguish it was dirt thrown on by hand and our personal fire extinguisher, which we had to run back to the house to grab. Our main concern is the safety of the residents on the island and their homes. Please share this page with friends/family. Thanks all!